As Oliver Wendell Holmes Sr quoted, “Youth fades, love droops; the leaves of friendships fall; a mother’s secret hope outlives them all.” Such is the power of her kind, who embellishes our lives since the very start. She’s beautiful and soft yet possessing the spine of steel she embraces every hurdle with warmth. Attempting to showcase gratitude to this motherhood, the world dedicates a day of the year to rejoice this pillar of power of our life. 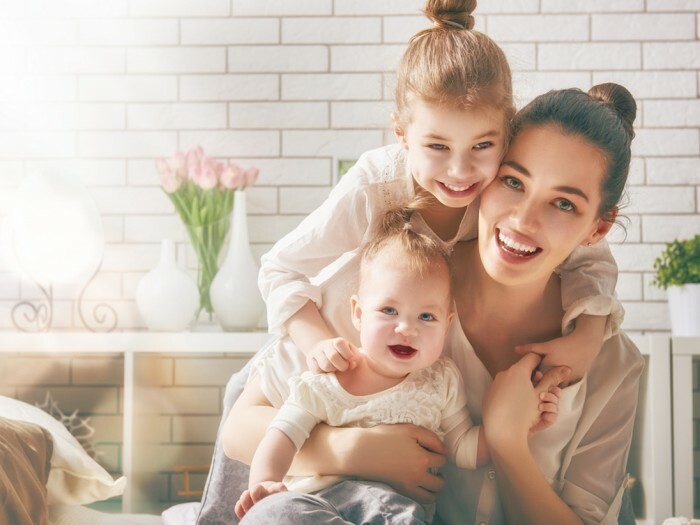 Brands on social media join in too, to celebrate Mother’s Day, a persona which is a symbol of comfort, affection, and strength. Nivea produced a heart-wrenching film of a mother and her mute daughter this Mother’s Day. The film showcases how a mother’s heart is always concerned about her child and there is immense care hidden behind all the nagging. This Mother’s Day Nivea encourages you to hug your mother, suggesting through the campaigns hashtag #SayItWithHugs. Move away Eminem, you’ve got some serious competition as ASUS finds an innovative way to wish your mama dearest ‘Happy Mother’s Day’ this year. Through this film the rapper calls and wishes his mom within 22 seconds making her absolutely awestruck, hand in hand promoting their product #ZenFoneMax which says #NoNeedToRush. As the brand rightly says, while crying or smiling, while falling or hurting you always remember your mom. An extremely relatable film of 48 seconds simply highlights how our mother is our first doctor who addresses our first pain. This brand brings out a campaign which also addresses the importance of a mother in every person’s life and also creates a campaign which is closer to the theme of the brand thus creating a balance. Mother’s Day is not only a special day for a child but also for a woman who became a mother because of her child. Huggies through their campaign portrays to-be mother’s and their emotions towards being a mom. The film shows how these heavily pregnant women plan to greet their baby by penning down their thoughts and feelings on paper. The campaign is run on #DearBaby and rejoices the delight of being a mother. Ice cream brand Havmor builds and interactive campaign on the digital media by conducting a contest to bring back nostalgia. The campaign #GoodnessOfMyMom encourages people to share their cherished childhood memories shared with their mothers and they stand an opportunity to win a gift hamper from Havmor for their mommies. They say your mother is the best friend you’ll ever have. This Mother’s Day the brand encourages you to confess to your mom the biggest secret of your life which is still hidden. The campaign captures people sharing their deepest secrets to their mom, making it simpler to admit with #NoFriendLikeMom. Vistaprint recreated the nostalgic moments with Photobook where audiences could print their memories. Through a digital campaign to promote Photobook with a theme, Vistaprint captured the beautiful essence of the mother-daughter relationship. The motive behind this campaign was to make people redial the nostalgia associated with hardcopy photobooks which have lost their presence. The campaign was run under #MemoriesHumesha as memories are worth preserving and sharing. Well-known ethnic wear brand has raised feminism issues of gender prejudice and dowry through their earlier campaigns. On the occasion of Mother’s Day, the brand launched a film depicting the special bond shared between a homemaker mother and her independent daughter. The film speaks volumes about this beautiful relationship of a mother and daughter, simultaneously giving out a social message of changing perceptions and setting out priorities across age of Indian women. Baby product brand Mee Mee took the social media shelter to hop on to the Mother;s Day bandwagon. The brand simply put up cozy pictures of mother with their kids defining various roles and traits of that persona. They say, in a world that comes to a stop without Mom around’ and we couldn’t agree more. 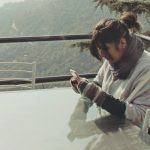 Having said that, Vistara created an absolutely relatable video to celebrate every mother without whom we can’t function. Producing a video #MomsAlwaysOnTime, Vistara on the digital medium wishes us a #HappyMothersDay and tells us to keep loving our mom. Building on various aspects of a mother figure, on this occasion Britannia Good Day came up with a concept in sync with their brand image. The campaign for Mother’s Day was produced through a film which outlined on #MomMakesAGoodDay. Interpreting unsaid words is like the magical power of every mother and this is what the idea behind the entire film. A mother nurtures her child with love, compassion and utmost care. But do you always have to be a biological mother to do that? This Mother’s Day Animal Planet India raises its glass and toasts all those pet-mothers who have selflessly taken care of their pets like their own babies. A relatable film for every pet owner, celebrates the motherly relationship between a pet and his owner. A real estate brand took up this opportunity to celebrate every mother who is a multi-tasker by nature. The brand created a video and showcased the strength and vigour of all the mothers who not only created homes but also built homes. Digital marketing agency, The Glitch commemorated the globally celebrated day for the mother’s by producing a video called #LikeAMother. This video acknowledges the feeling of motherhood paying a tribute to all those in our lives who have been no less than a mother. Could be anyone from a friend to father, grandparents or maybe a step mother. This video shares the stories of people from different walks of life acknowledging that one person who has been the ‘mother’ of their life. You are what she makes you and you are what you learn from her. This is what exactly beauty product brand Fairy and Lovely tried to convey this Mother’s Day campaign through this short video. The video completely focusing on the occasion was released to join the trend of social media and of course celebrate the mothers. For those who don’t have a mother, Mother’s recipe decided to fill in this emptiness in their lives through this initiative this Mother’s Day. #Motherforall a pan India initiative brought together close to 400 mothers celebrating Mother’s Day and bringing a smile to 500 kids living in 15 orphanages across the country. Ahead of Mother’s Day, Kalpataru came up with an exclusive campaign celebrating the contribution of all mothers. The campaign was tailored around the well concept of ‘Home is where Mom is’, keeping in mind the strength, passion and care of a mother who tirelessly glues the family together with her unconditional love. Growing up has definitely made us forget our first friend. This mothers day, the brand want more kids to accept their mother’s friend requests or unblock them. It’s time we #KeepItLite with moms and accept a friendship that will last a lifetime. Clothing brand Myntra takes us through a journey describing us through a film that what all our mothers do to make sure we look the best. Keeping the campaign close to their brand, through cloths the campaign tells us our changing relationship with our mothers as we grow up. Hershey’s Syrup India, known for their ability to add sweetness to any dish of the hour transferred this brand essence to their HERSHEY’S Syrup loyalists on social media via a Mother’s Day video. The video played on the sweetness that both Mums and HERSHEY’S Syrup can be associated with. Mother’s have always played the role of a sweetener in any given situations, however children often fail to do the same. The video also invited users to share the transformation they have seen in their mom from then to now and the best entries will be gratified. The wealth management arm of the Karvy Group decided to create a small video as a tribute to working mothers. The brand was running a month long campaign #CEODIaries and the last leg of the campaign was dedicated to Moms who are also the leading CEO’s of the world. The video showcased that working Moms not only inspire but also make great leaders. They are born leaders and have multiple leadership qualities. A mother’s love transcends boundaries, and language. Make it count as it’s her day. So this Mother’s Day, the brand encouraged everyone to tell their mom that they love her, without actually saying it. Different countries have different ways of saying ‘I love you’, even when they are using sign language. They asked people to come up with ways of expressing their love to their mothers without saying it as action speaks louder than words. The brand for starters showed 10 ways of saying ‘I love you’ in different sign languages according to countries. The online shopping brand convincingly merged Mother’s Day theme with their brand producing a campaign with actor and anchor Manish Paul. The video using #BecauseMomsCan focuses on how Manish Paul surprises his mother through Jabong. As the brand says, there is a lot unsaid between us and our moms. So this Mother’s Day the brand encourages us through its video to say it all with little gestures which means a lot. The campaign was run with #RightfullyHers. Digital marketing agency of Mumbai, White Rivers Digital created a campaign for Mother’s Day but this time not for its client but its WRD family. WRD Mothers, throughout the day in different parts of the city received hand-written notes, boxes of their favourite chocolates and a BIG, warm, ‘THANK YOU’ from Team White Rivers Digital. And to top it off, Shrenik Gandhi, CEO & Co-Founder of White Rivers Digital, sent personal video messages to all the moms via Whatsapp. Groupon owned Nearbuy took a break from Mother’s Day cliches by getting their CEO, Ankur Warikoo a new role for the day. After a contest, where kids had to Mominate their moms for a guilt free day out, Warikoo stepped in to play the mother’s role when the winner went out to enjoy here graticification – a pampering spa day. Warikoo dawned Anita’s (the winning mother) role by spending time with her family, giving her mother medicines and making tea. Mother’s Day holds high moment marketing fundamentals making it a goldmine for brands. If you know more campaigns that should be a part of this list let us know in the comments below.